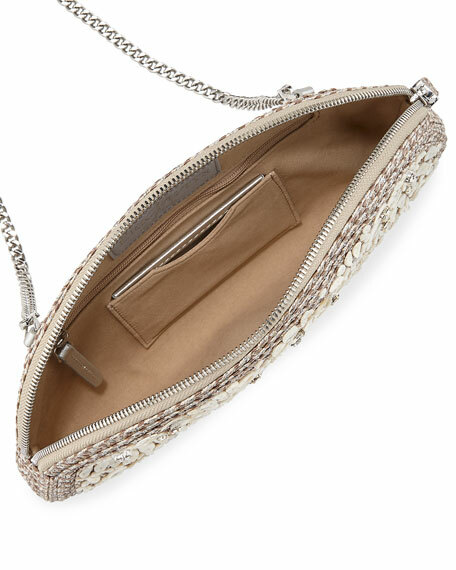 Eric Javits metallic woven straw clutch bag with pearlescent and sequined flower features. One zip pocket; removable mirror. 6"H x 10.8"W x 1.5"D.
For in-store inquiries, use sku #2407205.